It’s always frustrating that the IndyCar season finishes in the middle of September. Now we have to wait almost six months for the 2019 season, which gets underway in St. Petersburg on 10 March. What makes it even more annoying is that 2018 was such an excellent season. The new aerodynamic package not only looked incredible, but also made for superb racing on most of the circuits the series visits. 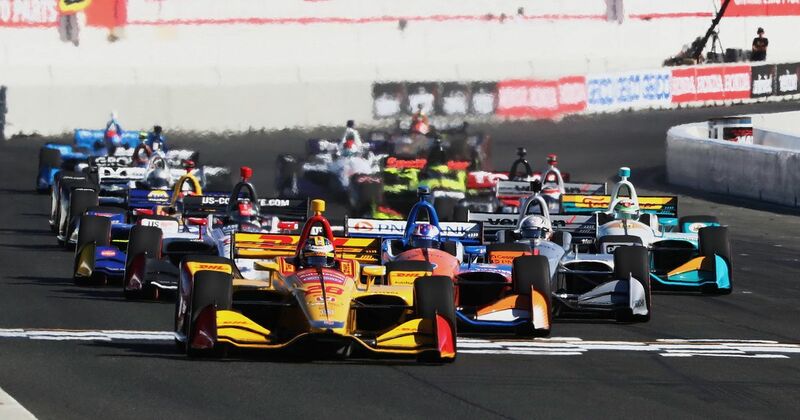 Young chargers made an impact, seasoned veterans racked up the achievements and - as usual with IndyCar - the memorable moments weren’t just restricted to on-track action. Here are our 10 highlights from the season. There was tons of hype around the opening race of the year - and it absolutely delivered. As if taking pole on debut wasn’t impressive enough, Robert Wickens then comfortably led almost the entire race. Alexander Rossi was gaining in the closing laps when an ill-timed caution put Wickens on the back foot. In a race which saw a massive 366 on-track overtakes, the one Rossi tried on Wickens didn’t quite come off. Sebastien Bourdais snatched the win, Rossi recovered to third, whilst Wickens was denied a sensational victory on debut. Bourdais was chasing down Scott Dixon when then pair came up to some backmarkers. As Dixon went to pass Spencer Pigot, Bourdais seized the opportunity to go around the outside and pass the pair of them, which he did. To make it even more epic, he then lunged up the inside of the other backmarker of Matheus Leist. It looked damn spectacular, but officials judged that he’d used the pit exit to make the move (Bourdais claimed Dixon forced him there) and he was made to give the position back. Boooooo! The race at Barber was incredibly wet and saw a couple of red flags. Now, you usually get a few funny things happening during race stoppages, but James Hinchcliffe’s story about how he peed himself in his car was absolutely hilarious. In the early part of the season, Penske teammates Simon Pagenaud and Josef Newgarden engaged in a battle of one-upmanship to see who could put their autograph on the most ridiculous thing. It carried on for weeks, but the ‘contest’ was decided decisively in Pagenaud’s favour after this elaborate prank. Just look at Newgarden’s face! Will Power took a well-deserved first win in the series’ premier event, but compared to previous years, the Indy 500 wasn’t quite as exciting as usual. It looked like the new aero kit didn’t promote especially close racing on larger ovals but Alexander Rossi still found time for some outrageous around-the-outside overtakes on his charge from 32nd to fourth. Peak IndyCar was reached in Toronto following a caution period. 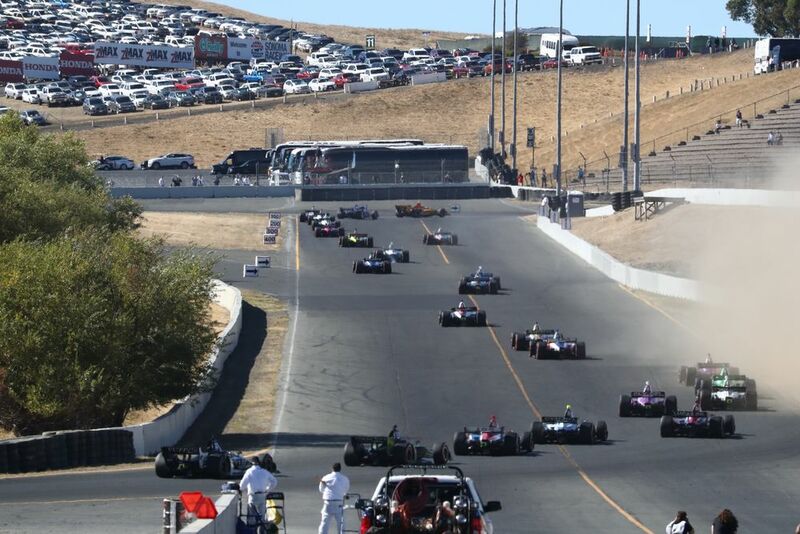 The combination of tricky cars on cold tyres on a bumpy circuit littered with tyre marbles led to chaos, with leader Josef Newgarden hitting the wall and then several cars getting involved in a first corner incident. Rossi completely dominated the Mid-Ohio race, beginning a streak of results that saw him emerge as Dixon’s main challenger for the championship. His only mistake came whilst celebrating as he amusingly beached his car whilst doing donuts. Whoops. Scott Dixon has a habit of managing to make the best out of a bad situation - it’s part of the reason why he’s now a five-time champion - but what happened at Portland was ridiculous, even by his standards. It looked for all the world like he’d be out of the race after getting involved in a multi-car crash at the start. And yet, somehow, he managed to not only get away without hitting anything, but also kept his car going and simply drove away from the carnage. Perhaps even more amazingly, he went on to finish fifth, ahead of main rival Rossi. We started off the list with a rookie putting in an epic performance, so let’s finish it with one, too. As 38-year-old Dixon became a five-time champion, a guy half his age put in a mega performance in his first race. Fresh off the back of winning the Indy Lights title, Patricio O’Ward qualified fifth and finished ninth for the fledgeling Harding Racing squad, having only driven an IndyCar for the first time a week before the race. He’ll be back with the team for 2019 along with another impressive youngster, Colton Herta. Talent-wise, the future of the sport is looking very good. With the combination of the title finale being somewhat one-sided and Robert Wickens’ horrible crash at Pocono, admittedly things ended on a bit of a downer. But as entire seasons go, 2018 was one of the best for a while - and that’s saying something, because even the bad IndyCar seasons are usually pretty good! With more young drivers, more new teams, Laguna Seca returning and - possibly - Fernando Alonso coming along, too, 2019 is looking nicely poised to be even better.